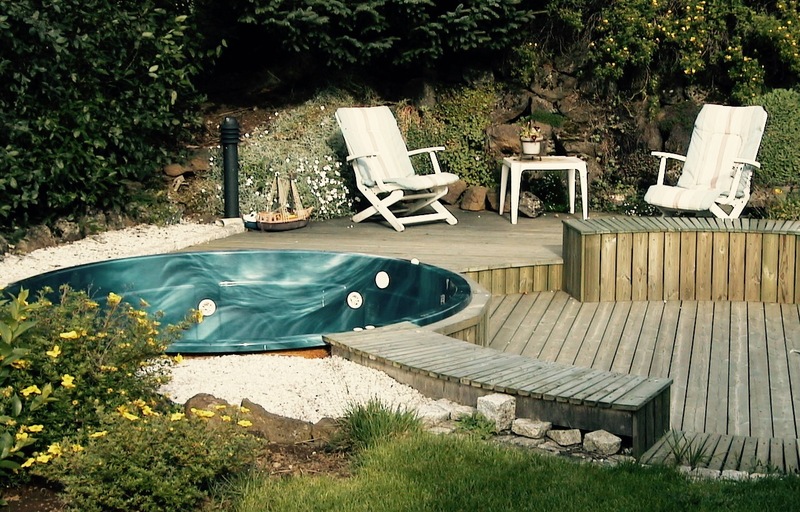 When my mother asked if I could design a hot tub area for one of her friends my answer was “of course”. I had recently come back from Gloucestershire in the south of England where I studied landscape architecture graduating in1994. It was not easy getting noticed and finding design jobs was a real hassle. I was new in this field and advertisements were frowned upon by the landscape architects association. This did not help in finding projects. In the early nineties the Internet was also next to non existent along with today’s powerful social media tool. So my earliest projects came through friends and family which slowly developed into referrals from these early clients. The fee for my services was a small sum of money and a large bottle of single malt whisky. My mother and the client belonged to a sewing club. This club met once a month, alternating the meetings between the members homes. One of the main design concerns was that all 12 members of the club could fit into the tub at the same time. If I remember correctly sewing was not the main concern of the club but it was more a chance to meet, gossip, catch up, drink coffee and eat delicious cakes. Once a year when it was my clients turn to entertain, the sewing club would start in the hot tub. To fit 12 people the tub had to be preordered and we chose a marble blue 3000 liter round tub. Due to the location of the space in a sunken part of the back yard getting large power tools there was close to impossible. Thus laying a foundation for a stone patio was out of the question so the solution used was a timber deck. To complement the round tub a bench formed into an arc surrounds a seating area. Another area for sun chairs is located between the tub and an existing retaining wall made from sheets of lava and filled with plants. 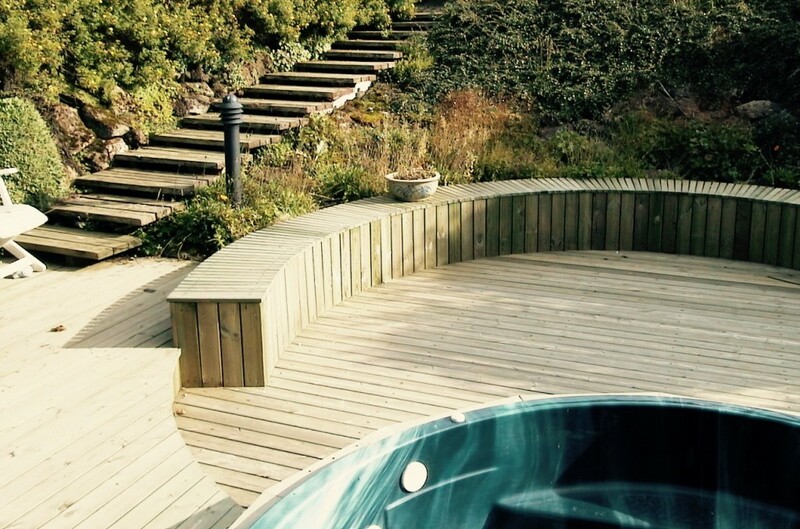 Even now, 20 years later I feel that the design of this secluded little deck with its hot tub and circular bench has stood up to the unforgiving bite of time.